July 6, 2011 By This post may contain affiliate links. Make a sweet and refreshing Fruit Pizza Beach Ball for your summer party. This jumbo cookie is topped with lemon cheesecake filling and an assortment of fresh summer fruit and it’s decorated to look like a beach ball. If you ask me what I’d consider to be heaven on Earth, the one place I am happiest, the location I would most like to be everyday, I’d tell you without hesitation, the beach. So it’s no surprise that when I create party food for the summer I gravitate towards using tasty recipes to make beach themed desserts like this Fruit Pizza Beach Ball. 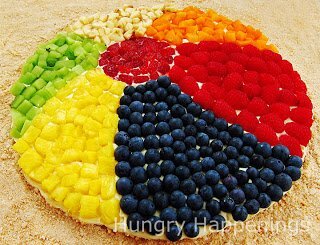 I was so excited to see how this colorful fruit pizza topped with strawberries, blueberries, pineapple, kiwi, bananas, peaches, and raspberries turned into a beach ball. 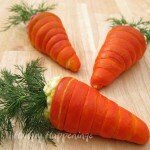 I won’t tell you that this is a super simple project, but I will tell you that your friends and family with think it is one of the coolest desserts they have ever seen. If you are looking to really “WOW” some beach or pool party guests, then you definitely should give this fruit pizza recipe a try. The idea for this fruit pizza decorated to look like a beach ball came to me after I found a picture of a cake I had created a few years ago to enter into the Family Fun’s Great Cake Contest. This Beach Ball Buddies cake turned out so cute, but it took the better part of a day to decorate. When I came across the picture, I was sitting at my computer eating a bowl of fruit, as I so often do in the summer, and noticed the beautiful rainbow of colors in my bowl. I began to think about all the fruit desserts that I enjoy, especially in the summer, and how I could transform one of those recipes into a beach ball. The perfect solution was to create a fruit pizza and arrange the fruit to look like the panels of a beach ball. Knowing it would take some time to decorate my fruit pizza, I decided to keep everything else about this dessert simple and quick. I baked up a large Pillsbury sugar cookie and topped it with a lemon cheesecake mousse made from Philadelphia Ready to Eat Cheesecake Filling, a jar of lemon curd, and some whipped topping. The light lemon flavor is a perfect compliment to all of the fruit. I chose a rainbow of fruits that I enjoy eating including blueberries, raspberries, apricots, bananas, kiwi, pineapple, and strawberries, but you can choose whatever fruits you prefer. 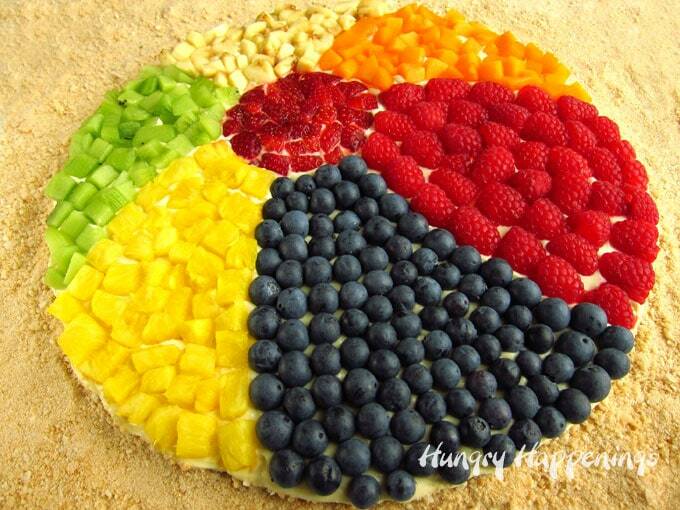 See the Step-by Step Tutorial for making this Beach Ball Fruit Pizza below the recipe. Use all of your favorite fruits to create this delicious fruit topped cookie! This Fruit Pizza Beach Ball is great for any pool party. Prehaat oven to 350 degrees F.
Press cookie dough into round pan. Lightly spray pizza pan with non-stick baking spray. Use a paper towel to dab off any excess spray. Press cookie into an even layer in the pan. In a mixing bowl, combine Philadelphia Ready to Eat Cheesecake Filling and lemon curd. 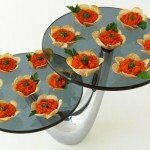 Set the cookie upside down on a large cutting board or serving platter. Spread lemon cheesecake mousse in an even layer over entire surface of cookie using an offset spatula or rubber spatula. 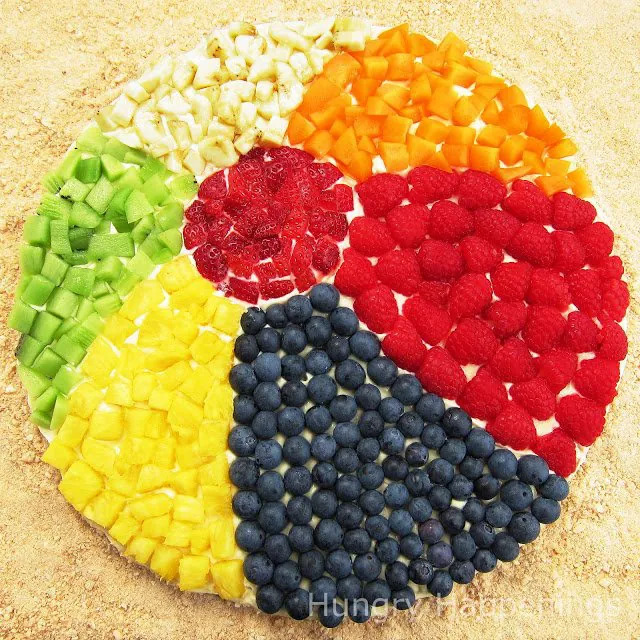 Arrange fruit around cookie in a beach ball pattern (using the tutorial instructions). Beat cream cheese and sugar until light and fluffy and substitute it for the cream cheese filling. To make this part of the process easy, press Pillsbury Sugar Cookie Dough into a round pizza pan, bake it, cool it, trim it if needed, and top it with a blend of Philadelphia Ready to Eat Cheesecake Filling, lemon curd and whipped topping. You can use homemade sugar cookie dough if you prefer. Grab the recipe from my Palm Tree Cookies Recipe. My cookie puffed up past the edge of the pan, so I had to trim off the excess around the edge of the cookie. I crushed those excess pieces with some vanilla wafers in the food processor to create “sand” which I put under and around my fruit pizza beach ball. You could also use graham crackers or even crushed cereal to make the sand. See the end of the post for alternatives to the Philadelphia Cream Cheese topping. Use a spoon to draw the outline of the beach ball panels in the cheesecake filling. If you have trouble drawing this freehand, find a beach ball coloring page online, print it out so that it fits over your cookie (you might have to print it in sections and tape them together to make it large enough). Then cut out every other panel and set the template over the frosted cookie and use it as a guide. Start by arranging the cut strawberries in the middle of the fruit pizza. Then arrange each color of fruit in the panels around the center of the beach ball. I started with the blueberries because they were easy to get into rows. Cut your raspberries in half lengthwise and set the cut side down in the section to the right of the blueberries. For the green section you can use kiwi or cut up grapes. For the white section you can use bananas, apples, or pears. Just be sure to toss any of those fruits with a bit of fresh lemon juice so they won’t turn brown. Once your beach ball fruit pizza is complete, chill it in the refrigerator for at least one hour and up to six hours. 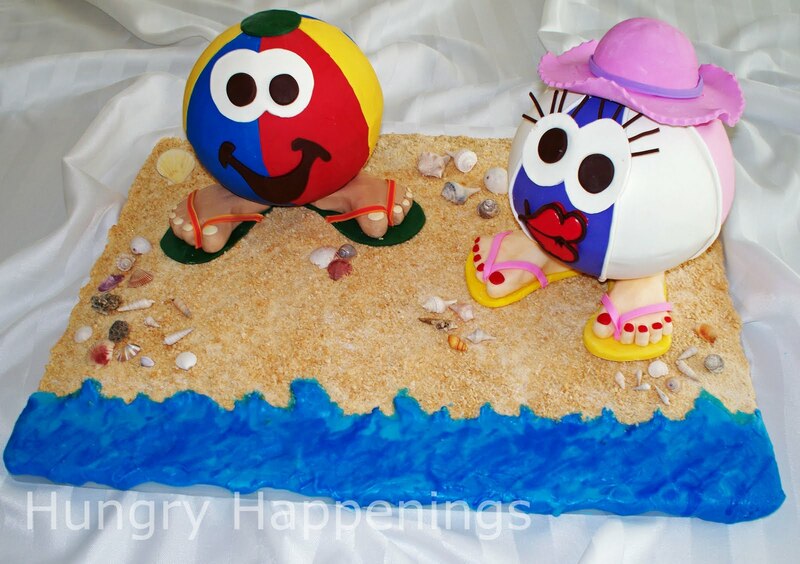 Display your beach ball prominently on your food table, so all of your guests can marvel at your edible art. Just before serving, cut the beach ball with a sharp knife into 12-16 slices. Store any leftovers in an airtight container in the refrigerator. I’ve had a few readers tell me they can’t find the cheesecake filling, so I’ve added a quick substitute in the recipe above or you can use either of the recipes listed below. The recipe that will taste the most like a true cheesecake when mixed with the lemon curd would be from my Pastry Crowns filled with Cheesecake Mousse recipe. You’ll make a custard which is then mixed with cream cheese. It tastes so much like a baked cheese cake which is how the Philadelphia Ready to Eat Cheesecake Filling also tastes. After you make the mousse you can measure out a cup of it and mix it with the lemon curd and whipped topping or you can skip the whipped topping and just mix the lemon curd into the entire batch of mousse. If you have too much mousse, just eat it with a spoon! If you’d prefer a quick and easy no-bake cheesecake filling without lemon curd in it be sure to check out my Patriotic Cheesecakes Topped with Raspberry Gelee. It is also very good, it just doesn’t have that custard like taste of a baked cheesecake. Just swap out the recipe for the filling listed in the recipe above. 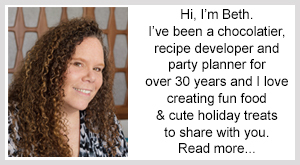 If you are looking for some other fun Summer Fun Recipes for your beach party or pool party be sure to check out all of the recipes pictured below plus many more, here. Previous Post: « Wouldn’t your kids love this cute chicken and chips butterfly for lunch? This would have been so perfect for my daughters beach bash birthdy party last weekend! So fun! I love how you handled the perspective, it looks perfect. 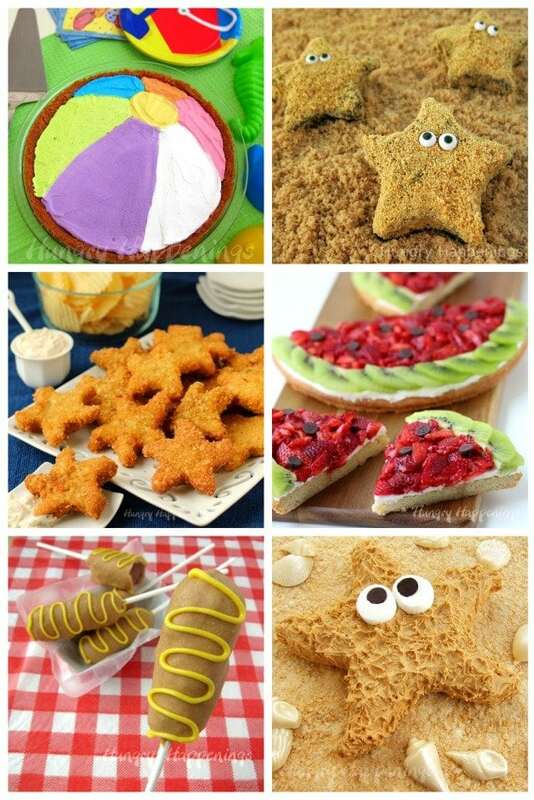 Plus, a good way to get my kids to eat some fruit! Thanks everyone. Sorry I didn't post this before last weekend, Pam. Hope your daughter's beach bash party was a lot of fun. That fruit pizza is brilliant … I can't wait to try it for a pool party! This looks amazing!! I may try this sometime soon! Thanks Randi. I hope you have fun making this for your party. Anna, thanks so much for the blog award! This is so cute! 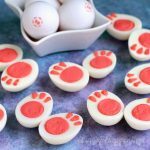 I saw the picture and had to come check it out 🙂 I thought I was being rerouted to my blog at first your name hungry happenings is shares a word with my blog! This is SO CUTE! 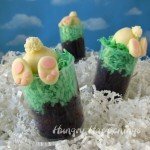 Would be fun to make for a summer party! Using fruit baskets to decorate for a party is a great way to spend less and get more. Absolutely great to see such good instructions, thank you. It is so nice to hear from so many of you. I'm glad you like this recipe. I made some cakes this weekend and frosted them with the lemon cheesecake mousse. Yum! I am going to bed the happiest mom ever…for finding your blog! HOw do you come up with all of these amazing ideas? Thank you for sharing this recipe. 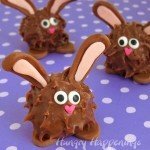 I looks easy to make and yummy to eat. I live in Hawaii and I am not a beach person at all. I hate getting baked alive by the hot sun, which is out everyday. 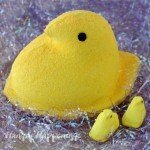 I am a new fan following from the hop. I am following you via GFC and facebook. This is amazing. I featured mostly Harry Potter links this week for Friday but, I am loving what you shared. FYI, if you link this or your fish up again, I wouldn't mind at all. Would like to feature them for next week features. Great stuff, thanks again for coming to my party at Bacon Time.